* (Actual colors may vary slightly from the color you see on your screen). See Logo and Embroidery options below. Designed with thick, durable, automotive grade nylon pile, Premier Berber Floor Mats fit most popular model foreign and domestic cars, trucks, suv's, and vans. * Grommets are included if they are part of the original floor mat, with a few exceptions such as Audi, BMW, Mercedes Benz, etc. where the grommets are exclusive to the vehicle manufacturer and can only be purchased through a dealer. In cases where we cannot provide grommets, your floor mats will be made without them. Select From a Wide Variety of Colors & Combinations Designed for Maximum Protection! 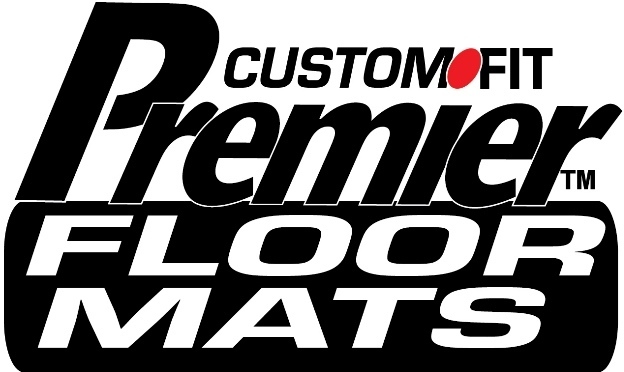 Premier Plush Custom Fit Car Floor Mats Logo and Embroidery options. Add an Extra Touch of Elegance and Personalization with Beautiful Color Monogramming! This is no cheap monogram job. Your Floor Mats are carefully monogrammed using state of the art computerized equipment in a complimentary color to your Floor Mats assuring lasting quality and beauty. All sales are final on personalized (monogrammed or logoed) items. Beautifully custom embroidered in full color by the same equipment used for hats and shirts. * For multi-row sets only 2pc front mats are embroidered (no Embroidery on Cargo or Trunk mats). Put Your Favorite Logo on your Car Floor Mats! * Approx. logo size is 3", Add $25, All sales are final on floor mats with Embroidery or Logo's. We have dozens of logos to choose from. You can give your vehicle that unique look by boasting your favorite logos on your Car Floor Mats.